Eastwood gives you stunning views of the city you obviously can’t get in the city not just from your own balcony but from its special feature, the Rooftop Terrace & Sun Deck. On a clear day, the view is endless and at night the city sparkles, shimmers and glimmers. Just wait till you see the nearby Gabba lit up like a Christmas tree whenever it plays host to the Brisbane Lions or a riveting day/night cricket match. 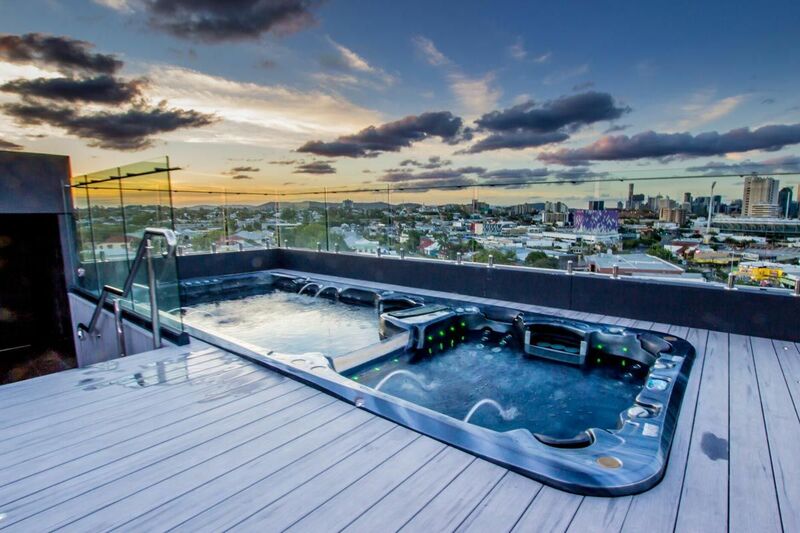 You and your guests will never tire of those mesmerising 360 degree city views. 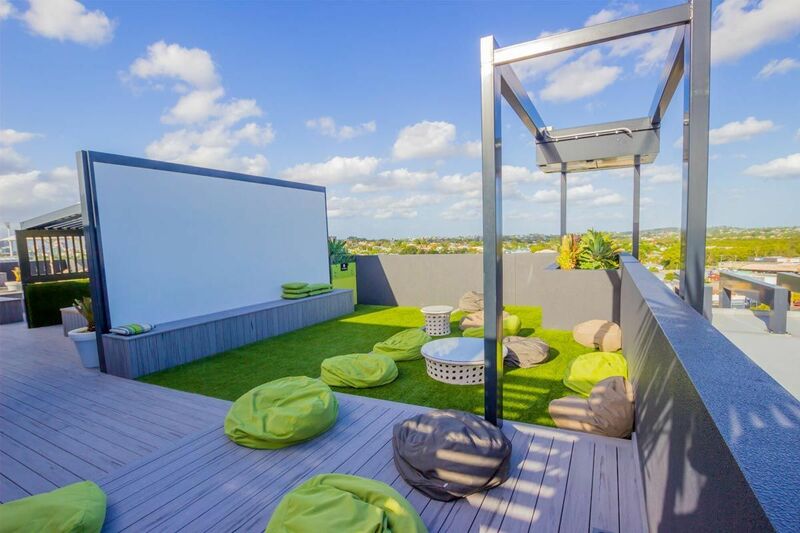 This Rooftop Terrace & Sun Deck additionally features a jet pool spa, an al fresco cinema screen, BBQ facilities, and garden seating areas ideal to relax and unwind with friends and fellow residents. 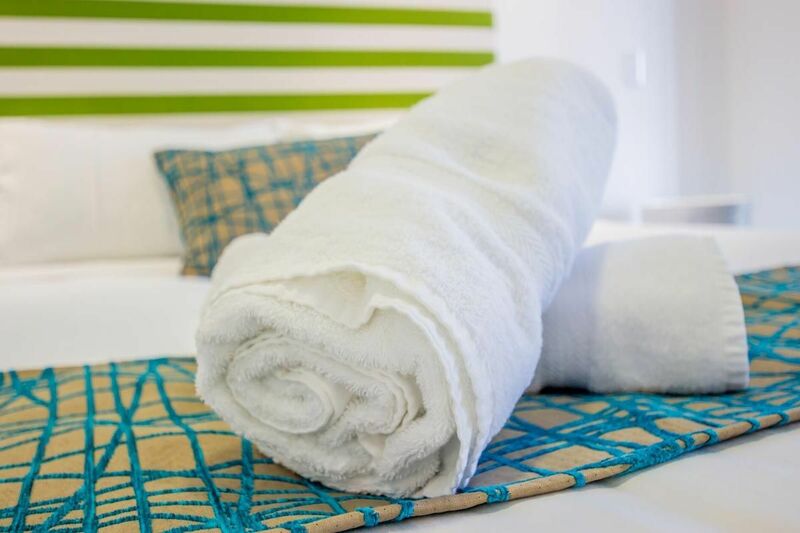 Be it work or play, leisure or pleasure, Eastwood Apartments in The Gabba precinct has everything for a fabulous contemporary Brisbane stay. Brisbane’s café and coffee scene is growing everyday, with more and more popping up all over the city. They’re spreading, too, no longer only confined to the city limits, but branching out in the suburbs as well, making it a shorter walk to get your morning coffee fix. Eastwood Apartments is in the heart of Wooloongabba, and has its fair share of amazing coffee houses and charming little cafés nearby! 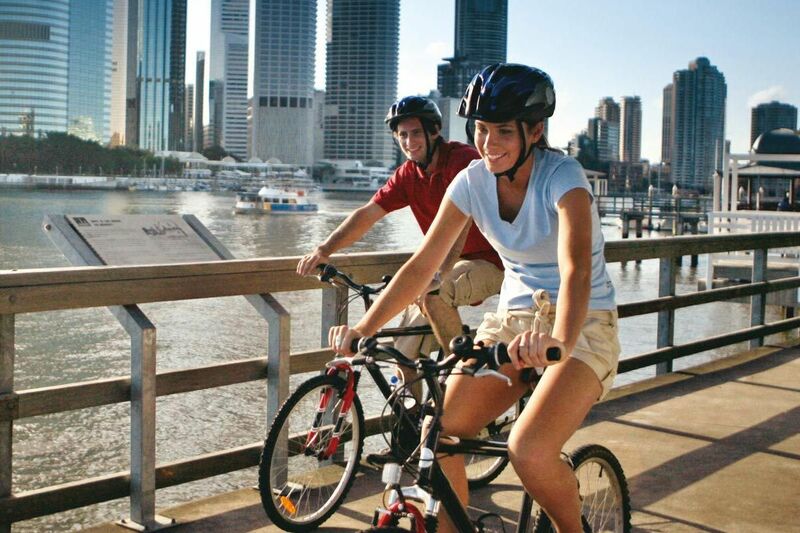 Being only a 25-mintue walk into Brisbane’s CBD, there you can explore the more condensed hub. South Bank, also nearby, also showcases a variety of restaurants for all types. From Turkish to Italian, with some ice cream in the middle, there’s definitely something for everyone! Set against a beautiful backdrop, along the South Bank Precinct, the beautiful scenery compliments the dining experience perfectly. There’s so much on offer in Brisbane to Eat, Drink and Shop!